Who doesn’t love a warm sticky maple glazed ham to serve the family? Or maple syrup drizzled over fluffy American style pancakes with crisp streaky bacon? Clearly our customers do as we’ve sold 12 cases in the last two months! Here at Pyne’s of Somerset we teamed up with Pure Maple to launch the first maple syrup in the UK to use the World Maple Syrup grading system from the International Maple Syrup Institute. This means we have three different grades: Delicate, Amber and Dark Robust, all with their own unique uses. We launched the product here at Pyne’s of Somerset on our Tasting Day, welcoming customers in with the smell of fresh waffles drizzled with maple syrup. 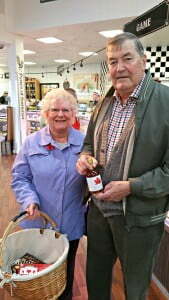 It went down a treat and we went on to sell out of the Delicate syrup completely! Its versatility is what makes Pure Maple so great. The fact that it is 100% natural with no added nasties gives it extra appeal. 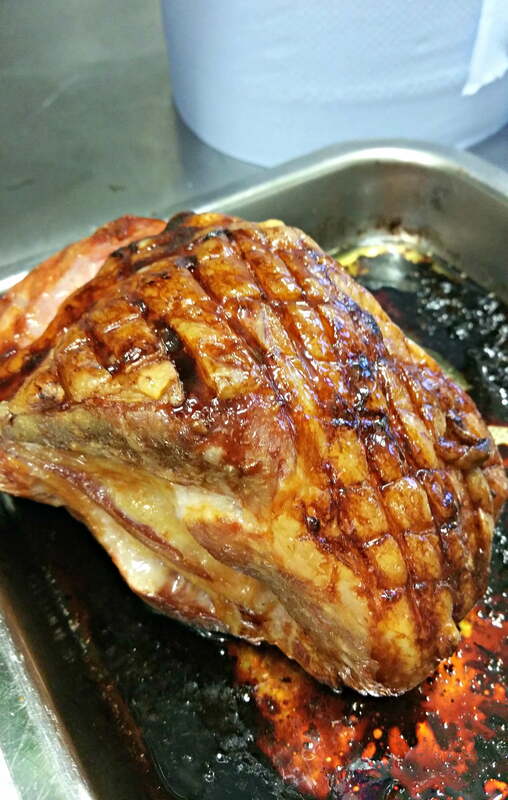 The Delicate syrup is perfect for pouring over a hot gammon joint for roasting to create a delicious glaze, as well as roasting root vegetables. We tested this on our Tasting Day, giving customers samples of the sweet delicious meat, which led to even more sales. 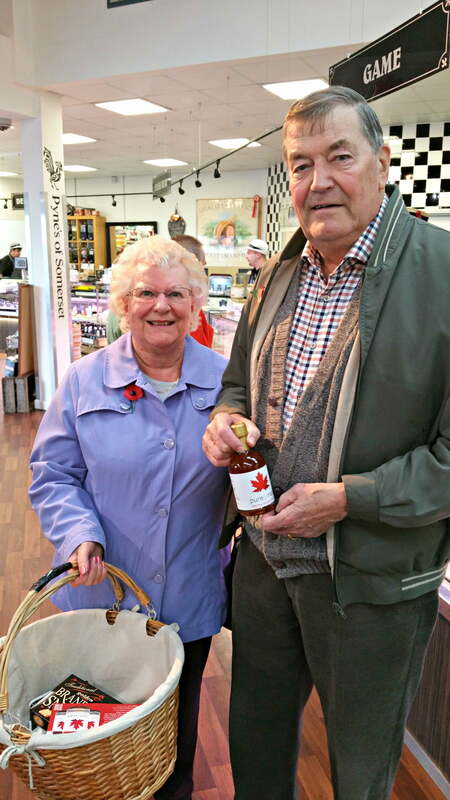 The first official purchase of Pure Maple was to a regular customer in our shop and they had their photo taken to mark the moment, as you can see below. Since the launch at our tasting day, we have stocked all three grades in our shop and have needed regular ‘top ups’ to keep up with demand. The authenticity also adds appeal, knowing that the stock comes straight from Canada and is a genuine product with no short cuts on quality or flavour, make it perfect to sell in our shop. We know our customers seek out the best ingredients for their cooking and they come to us confident that we take pride in our sourcing. It’s clearly set to be a winner for 2016 as people continue to find more uses for maple syrup, from porridge and coffee in the morning to meats and vegetables in the evening, any excuse to add a bit of natural sweetness to your meal!